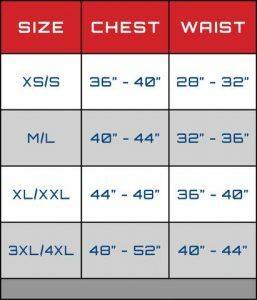 The ALL NEW MAXX-DRI VEST 1.0 SL (Super Light) was developed to …MAXXIMIZE body armor ventilation & airflow & weight-distribution ….of your ballistic vest while maintaining a lower-profile design. It's ideal in cooler, less humid climates and for those with closely tailored uniforms. Many wear expensive “moisture wicking” shirts beneath their body armor to help deal with excessive perspiration. Those shirts, however, are designed for professional athletes to be worn exposed to fresh air…NOT TO BE COVERED by heavy body armor. They are designed to wick moisture from your body and evaporate into the atmosphere. But … the moment you don your body armor you COMPLETELY negate the ability of these shirts to do their jobs. Instead, they actually wick moisture directly into your body armor! That’s why when you remove your body armor at the end of your shift, despite wearing these expensive undershirts your body armor is soaked and your undershirt is soaked and stuck to your skin…causing you to have to literally peel it off your body. The Maxx-Dri Vest 1.0 SL (Super Light) creates FULL 360 degree separation (space) between your body and your body armor, allowing heat and moisture (perspiration) to escape. This keeps you drier and cooler in the heat, drier and warmer in the cold, more focused and subsequently safer. The design structure of The Maxx-Dri Vest also helps evenly distribute the weight of your body armor, creating an anti-gravity effect. This makes your body armor feel lighter and more comfortable on your body. The Maxx-Dri Vest 1.0 SL provides you with the body armor ventilation you desire so you can get the job done and get home safe. The Maxx-Dri Vest 1.0 SL is designed with our proprietary 6mm material giving it a slightly sleeker profile than our 2.0 and 3.0 models (constructed with our patented 8mm material). The ventilation holes in our 1.0 and 1.0 SL models are slightly smaller than those within our 2.0 and 3.0 models. The Maxx-Dri Vest 1.0 SL is ideal for those with closely tailored uniforms. Sizing for the Maxx-Dri Vest 1.0 SL is now better than ever. With the fully adjustable Velcro side-closure system you can adjust the fit of your Maxx-Dri Vest to the exact snugness you desire. NOTE: We recommend your Maxx-Dri Vest be worn like your body armor; lightly-snug…not tight. How Do I Wash My Maxx-Dri Vest? To wash your Maxx-Dri Vest simply machine-wash on the “Gentle” cycle and let it hang-dry….DO NOT put your Maxx-Dri Vest in the dryer. It should hang-dry within a few minutes. Others have reported they simply rinse it in the shower in their locker rooms following their shifts and leave it to dry on a hanger in their lockers. The next time they arrive for work they are fresh and ready to wear. © Copyright 2019 Emergency Protection Ltd. All Rights Reserved.